Smart businesses talk to their customers about their innovation goals, looking for areas of growth so that they can showcase new offerings and support. But, do you know your customers’ perception of your offerings? Do they view you as a solution partner or a provider of printers, toner, paper and maintenance? When did you last present them with innovative new ideas? They may know about the newest products your vendor partners have convinced you to push, but when was the last time you’ve presented them the innovation your own business is developing to be a better partner to your customers? Chances are innovation has been lost in the shuffle and you’re missing out on a lot of opportunities. Customers are torn in a million different directions. Digital transformation, the workplace of the future, creating a modern culture to hire and retain the best talent, and increasing customer demands make for a dizzying work week with little time for anything that’s not on the immediate agenda. Wouldn’t it make your job easier if you had an eye-level conversation with your customer about how your own business is solving today’s challenges? If customers see that you’re successfully adapting to new and changing environments and demands, they are much more likely to ask you how you’re doing that and take an interest in the solutions you’re presenting. At the end of the day, you need to sell products and services to sustain and grow your business. However, that doesn’t have to be front and center in every conversation. Customers will appreciate having an actual relationship with you, having the ability to exchange ideas with a trusted colleague, and in the end will be much more likely to buy from you. If you haven’t spent as much time thinking about how business can evolve, adapt and grow to meet today’s needs, here are a couple of ideas you can use to start a conversation. While the exact term was coined by Microsoft, “the modern desktop” describes a greater trend that’s relevant across many of today’s objectives from digital transformation to the workplace of the future to talent retention. In a broader sense, the modern desktop is the ability to access applications and related data from the location and device best suited for the task at hand. This includes the traditional desktop PC as well as any laptop or smartphone with an application running directly on the device, in a web browser, or virtually provided by remote access solutions such as Microsoft, Citrix, VMware, Parallels or CloudJumper. The modern desktop provides the flexibility, agility and scalability that organizations are looking for as they try to accommodate different requirements from employees, workflows and customer demands. Mobile devices like iPads need to get integrated, drivers on PCs and Macs need to be managed, and remote sites or branch offices need to be connected to centralized systems hosting virtual desktops so printing does not need to be managed on each computer. This means printing gets more complex and there is a greater opportunity to sell a solution stack. The cloud comes in a myriad of different shapes and forms. The simplest are popular applications like SalesForce, FreshSales, Gmail, etc., that simply run in the user’s web browser. The manufacturer of the solution takes care of keeping features up to date and security reliable while the customer is responsible for configuration of items specific to their needs, including adding fields with proprietary information to quotes and adding user accounts. The cloud can also be surprisingly similar to a customer’s traditional data center with services like Microsoft’s Azure or Amazon’s AWS, as it provides the possibility to run traditional server workloads without having to deal with the computer hardware, power supply, redundancy and networking. Customers can install Windows Server or Linux/Unix on virtual machines provided to them, remotely access those servers to configure them, install applications and upload the data that the applications need to work. Customers still need employees or a contractor to manage the software, but no longer have to deal with with the physical infrastructure and can much more easily and cost effectively scale the available compute resources to match demand. Those applications that move to Azure, AWS or similar clouds still need to print. In order to do that, they need to be able to connect the printers on your customer’s network. Traditional VPN solutions are expensive and can be difficult or impossible to implement on the cloud side. Print specific solutions that place a hub as the print endpoint in branches and office buildings to establish a secure tunnel back to a print management server, running with the applications in the cloud, are a far simpler and cost-effective solution. This presents an opportunity to sell your customer the software solution, as well as related services around installation and ongoing maintenance. While these are the two biggest trends that will continue to shape 2019 there are other topics to be aware of. Securing increasingly flexible environments through print job encryption while at rest and in transit, release printing and auditing will surely be other important trends to consider. 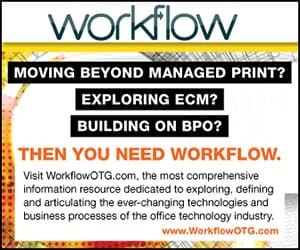 As the business world continues to change, printing remains a key element for many of the most critical processes and workflows. At the same time, expectations towards printing are changing with customers demanding lower cost, better security and greater flexibility while their users expect quicker delivery and easier use. Why not use the innovation that you’re delivering for your business as a showcase for what your customers can expect from you in 2019?